EDITOR'S CHOICE: We've handpiced the best of the best country and rustic wedding venues Sydney has to offer to help you pick the right one for your big day! Sydney, New South Wales, has nice and warm weather year-round, and even though it rains a bit (especially in winter), a few clouds make for great wedding photos, anyway! We love these rustic wedding venues in Sydney for outdoor wedding ceremonies and venues, but they also offer covered or indoor spaces, like gorgeous barns or historic buildings! So don’t miss out on these lovely estates, gardens, and more if you’re a fan of the rustic and countryside styles! A unique rustic wedding opportunity awaits you in Wilberforce, New South Wales, at the Australiana Pioneer Village. These 26 acres include a shearing shed, several barns, and other indoor locations as well as grounds with beautiful gum trees. They offer the choice of your own vendors, including caterers, as well as the services of their dedicated and experienced wedding coordinator. Morton, New South Wales,is home to a charming rustic wedding venue nestled at the foot of the Budawang Ranges and Pigeon House Mountain. You can choose between several locations, including their barn, garden, and deck. They also offer their ceremony arch for your wedding ceremony and use of their grounds for your photography. Their wedding packages include set up and clean up services and fees. At this gorgeous Upper Belmore, New South Wales, location, a dedicated team of wedding planners are eager to help you plan your completely personalized and customizable wedding package, ceremony, and reception. They manage to meld rustic with luxurious so effortlessly in both their spaces: The Victorian, and the Lemnos. Clarence House also offers discounts for weddings on Fridays, Sundays, and weekdays! In beautiful Moore Park, New South Wales, you can find a rustic wedding venue that also offers al the great features of a winery wedding. Local wine, a cellar door, on-site catering, and a spacious room are only some of the fantastic features of Urban Winery Sydney. Even though this venue is right in the middle of Sydney, you and your guests will feel as though you’re in the rolling hills of the countryside! This is perfect if you’re looking for a bit of privacy in the city. This gorgeous property in Gledswood Hills, New South Wales features a historic house (ca. 1810), indoor function rooms, their lovely grounds, and beautiful gardens for your wedding festivities and photography. They have three indoor rooms at your disposal: The Cask Room, Country Room, and Gledswood Room. They also offer high tea and wine events that are perfect for bridal showers or rehearsal dinners! By the Sydney Harbour in Manly, New South Wales, you can say “I do” to the love of your life while viewing the stunning waters and the Australian bushland. You and your photographer will also jump with glee at the fantastic photo opportunities, and you will have many choices for your ceremony and reception locations, including the wharf, glasshouse, and more. Ceremonies start at $1,200 and reception packages at $139 per person, but you can also opt for a “pop-up wedding” for intimate parties (up to 35, $9,500). Vaucluse, New South Wales is home to a stunning historic estate located right by the water, giving you tons of great wedding photo opportunities. You’ll love the Lone Pine Lawn for your wedding ceremony, and the art deco tearooms for an intimate reception (but if you have a larger party, their gardens are also gorgeous, as is the covered verandah). This venue also offers a wedding coordinator and a bridal attendant to make sure the wedding goes without a single hitch. Secret Creek in Cobar Park, New South Wales lives up to its name; it’s just perfect for couples looking for something intimate, private, and peaceful. If you’re a fan of the natural fauna and flora of the Australian bushland, you’ll love hosting your wedding ceremony and/or reception outdoors on the lawn or deck. They also offer on-site vegan catering! Also, venue hire is a flat rate: $3,000. For those of you looking for something rustic but with a touch of the class you can only find on a private estate, check out Burnham Grove in Cawdor, New South Wales. You can capture photos of you and your new spouse “wandering” through the gardens or peeking at each other through the sparkling waters of their fountains. You can host your ceremony in the gardens, then opt for the marquee or grounds for your reception. Also, you can stay in the Homestead overnight! In Mudgee, New South Wales, you can find a lovely little winery that’s great for mid-size wedding parties. 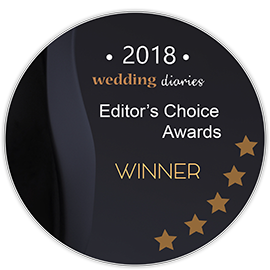 It’s family-owned, so you can be sure that you’ll have that personal touch in your wedding planning team, and Trine, the events manager, is dedicated towards helping you plan and host your dream wedding. Host your ceremony on the grounds, then your reception on their covered timber deck (which looks so lovely strewn with twinkle lights and flower chandeliers). You don’t have to stray too far from the city to find a great rustic wedding venue in Sydney. In fact, there are quite a few great choices in the city itself, so your guests won’t have to travel too far from the airport! Wineries, estates, and gorgeous historic buildings lend a simple but sophisticated air to your wedding ceremony and reception that your guests will be talking about for years to come, so don’t miss out!